John N. Chapman (1844-1917) was born June 8, 1844 in Boone County, Missouri, the last child born to William Pinckney Chapman and Catherine Wingo while they lived in Missouri. He arrived in Texas in about 1845 with his parents. During the Civil War, he served in Co. F (Bumpass's Co.) 5th Texas Cavalry (Martin's), from August 1862 until discharged May 1865. He was a life-long resident of the Farmersville area much of which was on the family farm. He married Mary Ann Yeary (1849-1872), daughter of Walter Yeary and Margaret Jones, on August 18, 1866, shortly after the end of the Civil War. Unfortunately, they were married for only six years as she died on December 11, 1872 at the age of 23 years. She is buried in the Jones-Yeary Family Cemetery located just northeast of downtown Farmersville along FM 2194. There were three children born from this short marriage: Lenora Betty (Bettie) Chapman (1868-1956) who married Robert Lee Davis (1865-1952); Lydia Hessie Chapman (1869-1923) who married Marion Levi Havens; Margaret Catherine Chapman (1871-1937) who married Oren Monroe Havens. On October 30, 1873, John Newton Chapman married another local woman named Cyrene L. Pew, the daughter of John Pew and his wife Jane. Over the next sixteen years she had eight children with John Newton Chapman. She died on March 10, 1889, shortly after the birth of their last child. The remaining children of John Newton Chapman are: M.J. Chapman (born 1874); Sarah Emma Chapman (born 1877) married James L. Russell; Almon Pinckney Chapman (1878-1958); Charles Newton Chapman (born 1880) married Nora Olive Barnett; Roy T. Chapman (1883-1899); Mary E. Chapman (born 1885) married Tom B. Howard; Flavia Chapman (1887-1967) married Sidney Samuel Russell; Artie Rose Chapman (born 1889) married Harvey Strickland. 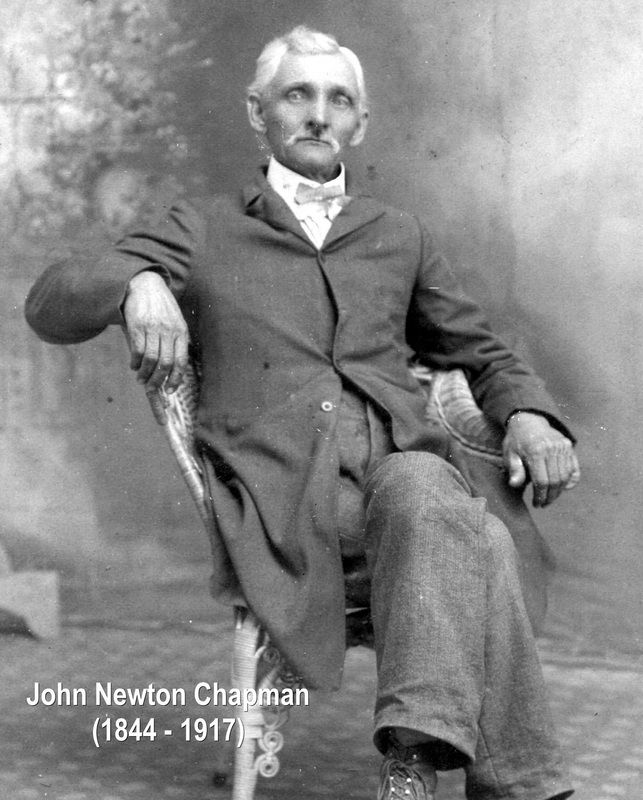 John Newton Chapman died on November 10, 1917 at the home of his daughter, Flavia [Chapman] Russell, in Emory, Rains County, Texas.